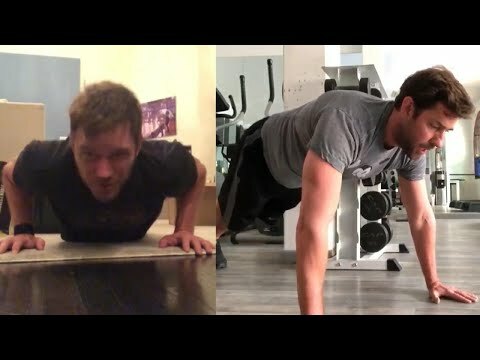 Chris Pratt is the latest star to participate in a push-up challenge after he was nominated by Hayley Paige. Pratt posted himself doing the challenge on Instagram. The “Jurassic World” actor then challenged his “Guardians of the Galaxy” co-star Dave Bautista, actor John Krasinski and friend Caleb Shaw. The challenge benefits a veterans charity. For every 25 push-ups Pratt did, Michael Strahan said he would donate a piece of football gear to Merging Vets and Players. Is This The Most Disgusting Act in ‘America’s Got Talent’ History?